Cat Anxiety - Do Cats Suffer From Separation Anxiety? You are here: Home / Cat Health / Cat Anxiety – Do Cats Suffer From Separation Anxiety? Cat Anxiety – Do Cats Suffer From Separation Anxiety? 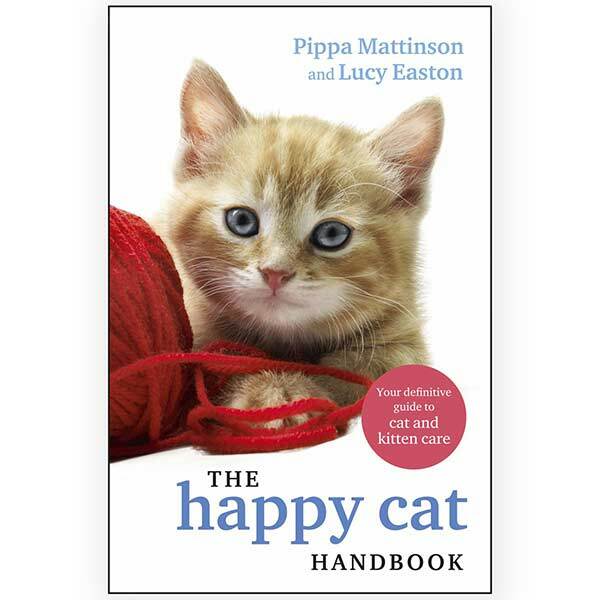 In this article expert Cat Behaviorist Clare Hemington uncovers the world of cat anxiety. Answering the important question – do cats suffer from separation anxiety? And letting you know how to help your scaredy-cat! She brings you a complete guide to cat anxiety in general and helps with dealing with your cat’s separation anxiety too. It isn’t clear whether Ms Parker was drawing a comparison between her dancing partner and a particularly fretful feline in her life. But possibly without knowing she’d hit upon a universal truth. That cats, like people experience anxiety. In fact, to a greater extent than we might realize. Anxiety plays a very important role in how cats behave. As solitary survivalists, they’re naturally pessimistic about life. Some might even call them paranoid. Constantly on the look-out for anything that might pose a threat to their survival. It’s this pessimism that makes them particularly susceptible to stress. Many of the behavior problems that we see in cats today are caused by underlying anxiety. Short term, cat anxiety is a normal healthy response to life’s everyday challenges. Things such as stepping outside and wondering if next door’s large tom cat is going to ambush you. However, where anxiety is sustained over a prolonged period and affects every aspect of a cat’s life this can be very unhealthy for him. Anxiety is also one of a range of emotions expressed in some cats in response to separation from their owners. This may cause them to perform behaviours that help them cope with the emotional impact of the social isolation. In this article, we’ll talk about general anxiety and cat separation anxiety. We will also ook at how an anxious cat might behave. And understand what we can do to help our cats to feel less anxious. 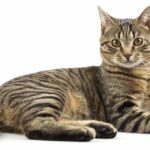 What is Anxiety in Cats? 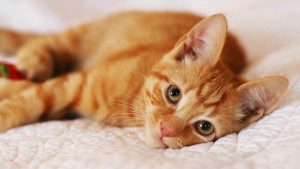 To answer the question do cats suffer from separation anxiety, we first need to look at exactly what anxiety in cats is. Anxiety is an emotional response to a perceived threat to a cat’s safety. Such as not being able to escape from, or take control of certain situations. It’s part and parcel of everyday life. But if a cat is unable to eliminate the sources of anxiety, the internal mechanisms that help him cope in the short term can be harmful if he experiences anxiety for long periods. In humans and animals alike, the emotion of anxiety produces stress. When stress occurs, processes take place in the body which result in the release of the hormones adrenaline, noradrenaline and cortisol from the adrenal glands. 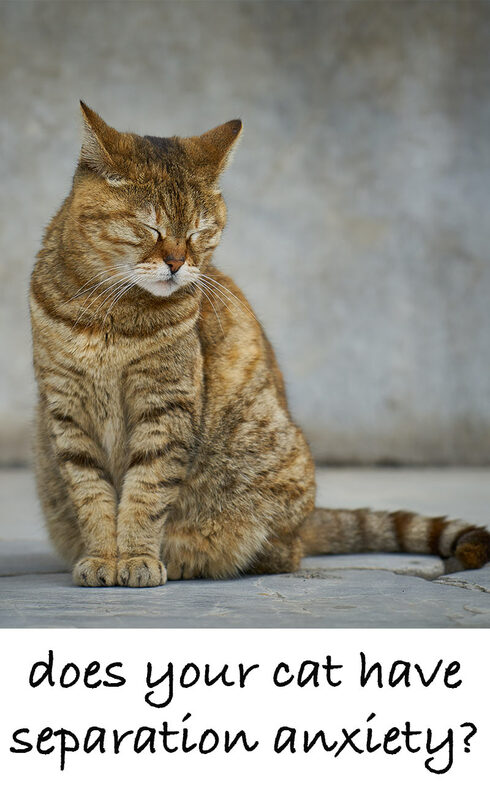 If these hormones are continually released on a long term basis, changes take place which can impair a cat’s immune system, exacerbate any underlying medical conditions or trigger disease such as lower urinary tract disorder. Does My Cat Have Anxiety? There are several factors which determine whether or not a cat is suffering from anxiety. Some kittens are ‘born anxious’. When a female cat is pregnant it’s important for her to remain healthy and relaxed. However, if her health has been compromised, for example, by a lack of nutrition or sustained stress, the physical and neurological development of her unborn kittens may be affected. This could have a detrimental impact on their ability to deal with future challenges as adults. If kittens aren’t exposed to normal environmental situations such as human contact, usual household noises, other cats, other pets etc during the ‘socialisation period’ (between two and seven weeks of age), this will usually cause them to be anxious of these things thereafter. Or, it could be that a cat has a genuine phobia related to a one-off event or something that happened during their early life. Domestication also plays a part in creating anxious cats. In the wild, cats can choose where they live, how big their territory is and which cats they want to socialise with. However, when cats live with us we tend to neuter them, make the decision about who they live with, and place them in a relatively small territory containing other cats with whom they wouldn’t necessarily have chosen to be with in such close proximity. We also choose how we want to interact with them, which may not match their own idea of appropriate feline communication! All these may increase our cats’ anxiety or compromise their ability to cope in new situations. Keeping themselves in a secure, hidden space. Resting more or feigning sleep. Urinating or defecating outside the litter box. Being more easily startled than usual. Not showing an interest in play. Displaying changes in patterns of behaviour such as spending significantly more time indoors, irrespective of usual seasonal changes. Rubbing and/or scratching surfaces more frequently. Showing defensive aggression towards people. If you notice your cat performing one or more of the above behaviours, he may be chronically anxious. So how do we treat feline anxiety? Or perhaps a better question would be how do we reduce the chances of our cats becoming anxious in the first place?! Whilst in some cases, this might unfortunately be out of our control (for example where kittens are ‘born anxious’), the good news in relation to both questions is, there are things we can do to help such as creating a cat-friendly environment and understanding how much interaction our feline companions want from us. Let’s look at the environment first. Cats live in a 3D world of movement, not just going backwards and forwards, but also up and down. High places, such as shelves, wardrobe tops, multi-level cat trees allow them to escape from danger. They also help them to survey their territory and generally feel safe and in control. By increasing vertical spaces in our homes, we are effectively increasing the living space for our family felines. But cats don’t just like to be high up. It’s important to offer our cats a number of hidey-holes they can retreat to if feeling anxious. 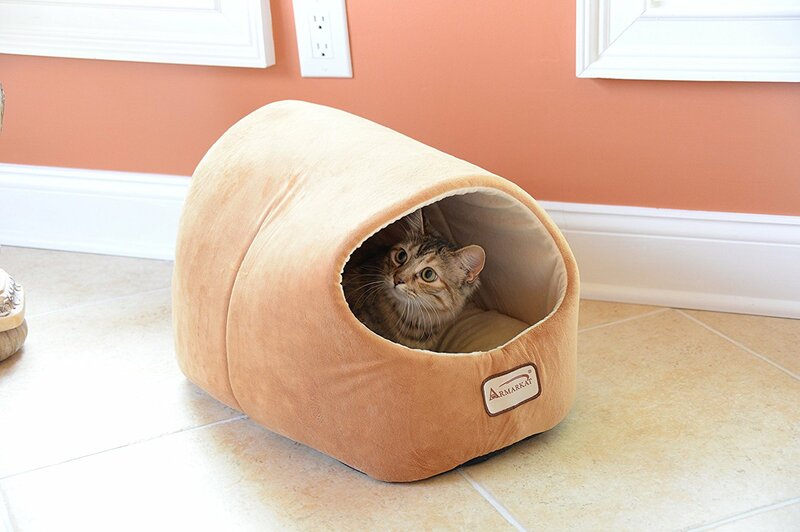 Beds like this cute hideaway are great for when your cat wants a bit of space. If your cat has chosen to hide it’s also his way of telling you that he doesn’t wish to be disturbed! Providing our cats with a cat door gives them control over when they come and go and means we no longer have to act as door-person! Cat doors are now available that read your cat’s unique microchip number meaning only your cats can use it. It’s important to offer co-habiting cats a choice of locations for eating and drinking. Cats are competitive creatures and providing multiple feeding and drinking stations in separate areas will help reduce any anxieties over sharing these important resources. The same goes for litter boxes. Confident cats might block access to the litter box or even ambush their feline housemate whilst he’s using it! As such they can be the source of great anxiety. Providing multiple litter boxes in separate, private locations will help ease any litter box tensions. Scratching objects not only allows cats to remove their old claw husks, but also provides them with a means of depositing scent via the glands on their paw pads. Cat scratching posts with perches like this one are great. The more scent they can spread around their core territory, the better they feel. So, giving cats the opportunity to scratch on several surfaces, both vertical and horizontal will fulfil this need. Quality sleep can be a rare commodity for our cats, so anything that helps promote this can only be a good thing. Low voltage heated pet pads covered with familiar bedding and placed on a raised surface can aid restful sleep. They generally help our cats feel more relaxed, especially in the colder months. Allowing cats to work for their food by using puzzle feeders replicates natural feline feeding patterns, provides stimulation which can help reduce anxiety. Play is a great stress buster, so scheduling time each day to play with our cats using toys that encourage them to run, jump and chase will help blow those blues away! 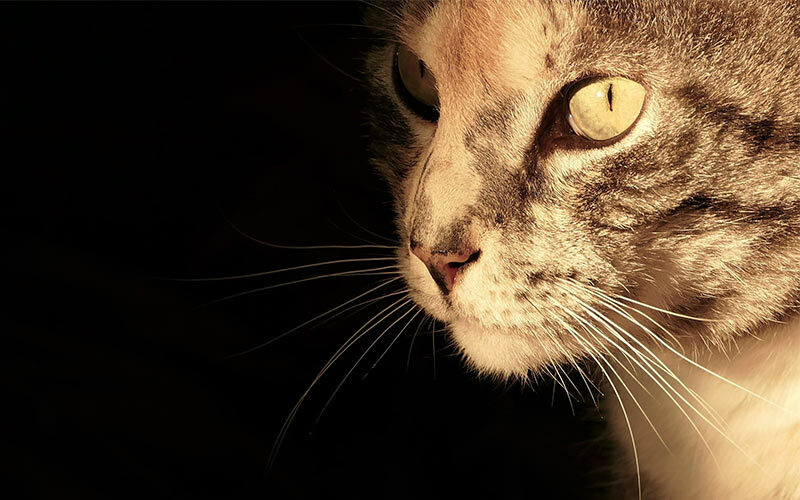 Plug-in diffusers containing either synthetic feline pheromones or essential oils have been shown to help reduce anxiety in cats, especially when used in conjunction with some of the other treatments above. When it comes to reducing cat anxiety, the other area we might need to address is our own interactions with them. Some cats enjoy sharing physical contact with us, others tolerate it, and in others it induces a feeling of dread! Applying the following guidelines in our interactions with both the ‘dreaders’ and the ‘tolerators’ may help them experience less anxiety around us. Try not to focus on or reassure an anxious cat. Our human way of focussing and nurturing is probably the last thing he wants. Behave normally around the house, there’s no need to compensate for your cat’s anxiety by moving around slowly or quietly. Avoid using the ‘face your fear’ technique to try and cure any phobia your cat has. Allow cats that are extremely anxious around people to become ‘invisible’ in their environment. This can be achieved by not acknowledging their presence in any way. This will allow them to regain control and over time view humans as less of a threat. For all cats, a good general rule of thumb is to allow them to initiate all interactions with us. Separation anxiety is a set of emotional, behavioral and physiological responses brought about when we are separated from someone with whom we have formed very close social bonds. Do Cats Get Separation Anxiety? So we know cats can have anxiety. But do cats suffer from separation anxiety? Many of our cats enjoy a sociable relationship with us and it’s not uncommon for them to sleep with us and greet us at the door. Nevertheless, up until relatively recently it was thought that separation anxiety only existed in dogs. I must admit I too used to be skeptical about the existence of separation anxiety in cats. That was until I came back from holiday several years ago to find that my Siamese cat Jimmy had pulled a big patch of his fur out! Research has since demonstrated the existence of feline anxiety and helped increase our understanding of it. However, we should be careful that we don’t apply the label of ‘cat separation anxiety’ incorrectly or confuse it with behaviour that can be attributed to another cause. For example, when we go away we might change our cat’s access arrangements to make sure the pet sitter gets to see him at every visit. This might mean keeping him indoors or keeping him shut in one area of the house. Seeing neighbouring cats taking over his outdoor territory and being able to do nothing about it is bound to upset him, as is being confined to a much smaller area indoors. Cats aged around 18 months or less aren’t likely to suffer from separation anxiety because they aren’t yet socially mature. Conversely, as our cats enter old age they are more likely to suffer from separation anxiety as a result of senile-related changes. We might also play a role in the development of separation anxiety in our cats. If we become too dependent on them we might be creating an emotional bond between us and them that can become addictive and cause withdrawal symptoms when we’re separated from each other. This is especially true where the cats in question are already anxious, lacking in confidence, sensitive or ‘clingy’. We should be mindful that the intense ‘love’ associated with this type of relationship is not in the best interest of us or our cats. This can also happen within cat relationships where some cats are sociable with others to a degree that borders on dependency. If one of the cats then dies, the other might attach themselves firmly to their owner, become very ‘needy’ and suffer a form of separation anxiety in their absence. I know from personal experience of this situation how difficult it can be to discourage this behaviour. Insist on being with you at all times. Follow you from room to room. Perform cat separation anxiety peeing and/or defecating outside the litter box, especially on items associated with your scent, such as clothing and bedding. This is a coping mechanism and not your cat being spiteful! Perform cat separation anxiety meowing immediately after you have left. Be destructive (if your cat has been confined he may claw carpets and scratch doors in an attempt to escape). Suffer from anorexia (affected cats are often too anxious to eat when left alone). Withdraw from social contact with other people and pets or exhibit cat separation anxiety aggression. Whilst these behaviours might be indicators of separation anxiety, we need to be aware that most of them have other causes! 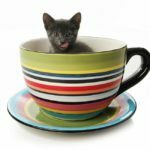 My Cat Has Separation Anxiety – What Shall I Do? For a diagnosis of separation anxiety cats should be taken to their local veterinary practice first to rule out any underlying medical cause for the behavior. A webcam is another important way of providing evidence of how your cat may be feeling when you’re not around and will help to identify whether the behaviour is related to separation anxiety or something else in the environment. If your cat is diagnosed with separation anxiety, looking at ways of increasing stimulation when you’re away will help reduce his stress. We can help achieve this by providing an environment that will keep him distracted, challenged, entertained and safe when you’re not around. Many of the ideas below are also used to treat general anxiety. 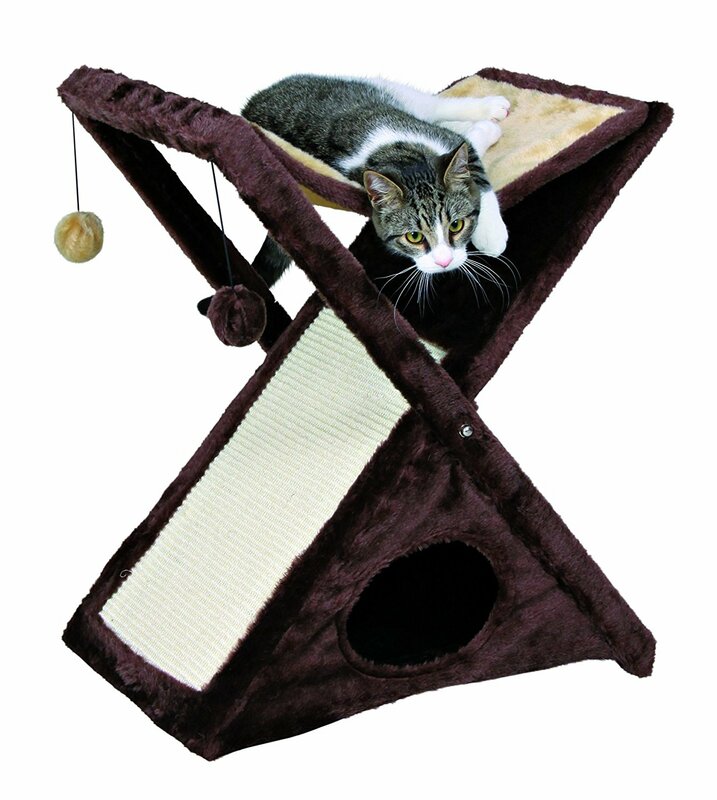 Provide a tall multi-level cat tree by a window where your cat can view the outdoor action. Assuming there are no other cats around, a bird feeder in front of the window is sure to keep him positively stimulated! Placing scratching posts and mats in different locations will help him spread his scent and feel more secure. Ensure there are comfortable places where he can hide and feel safe. Offer his food in shop-bought or home-made puzzle feeders. Provide scent stimulation in the form of catnip and/or valerian toys. Both these herbs can create an ‘altered state’ in susceptible cats and often promote play. Keeping toys in a sealable bag containing loose catnip and valerian, and rotating them randomly will help maintain their novelty. Cats love boxes, especially if they contain a nice surprise such as a treat, loose catnip, or catnip toy! As already mentioned, heated beds or radiator hammocks can help keep cats calm and relaxed. Ask your sitter to provide social interactions which include activities that your cat particularly likes such as chasing games, stroking and grooming. Leaving the radio or television on in the background may help to muffle any outside noises that might trigger your cat’s anxiety. You could even try one of the DVDs specifically designed to keep cats entertained! Diffusers containing feline pheromone or essential oils may help to reduce anxiety. Cats are very sensitive to how their owners are feeling and if you’re upset about leaving, the chances are this will project onto your cat. So, try to avoid making a fuss of him when you leave and make your departure a more laid-back. The same goes for your arrival back home. A brief, casual greeting is sufficient. If, despite your best efforts your cat is still very anxious then you might choose to consult your Veterinarian regarding medication. Selective Serotonin Reuptake Inhibitors (SSRIs) and Tricyclic Antianxiety-Antidepressant medications (TCAs) are examples of groups of anti-anxiety meds for cats. These drugs aren’t approved for use in cats but can be used extra label which means you would have to give the vet your signed consent. Cat anxiety medication should not be given in isolation but must be used in conjunction with behavioral therapy and only for cats at the extreme end of the anxiety scale. Or you could try the complimentary approach first. 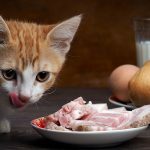 There are now natural supplements available as well as specific prescription diets that contain calming properties which your Veterinarian can advise you on. To maximise their effectiveness, any supplements should be used as an adjunct to behavioral therapy. Do Cats Suffer From Separation Anxiety? Some cats do appear to suffer from separation anxiety. And what we can know for certain is that cats suffer from anxiety in some forms. Anxiety in cats should be taken very seriously. 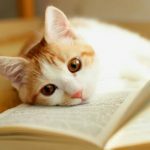 Hopefully this article will have helped to give you a better understanding of what it really means to be a ‘scaredy-cat’. If you have lived with a cat with separation anxiety, why not share your experiences in the comments section below? Food puzzles For cats. Feeding for physical and emotional wellbeing. Leticia MS Dantas DVM MS PhD DACVB; Mikel M Delgado BA; Ingrid Johnson BA; CA Tony Buffington DVM PhD DACVN. Journal of Feline Medicine and Surgery (2016).